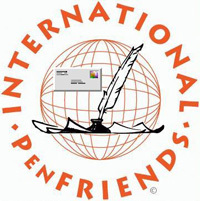 International PenFriends® is a Postal ~ Mail PenFriend® Program has grown to over 7 million members of all ages in over 251 countries and territories around the globe.... JOIN NOW! Copyright © 1990-2018 IPF. All Rights Reserved. International PenFriends® name & Logo are Registered Trademarks.